Choosing a new lawn type can be difficult, even after much research – homeowners can quickly begin to see that each grass variety has its strengths and weaknesses. Ultimately it is up to the homeowner to evaluate what is the best lawn for their home based on the needs which will be placed on the lawn. One of these factors can be to choose a lawn type for high traffic areas. While we may not be expecting a game of footy in the backyard every weekend, the wear and tear which is placed on a lawn by an active young family, or having a section of lawn which is often used as a walkway, or having large dogs in the yard, can place an enormous stress on the grass. In these situations we need to consider a grass type which will firstly tolerate the wear and tear, and then have the ability to quickly repair itself when it does get damaged. So let’s take a quick look at the best lawn types for high traffic areas. 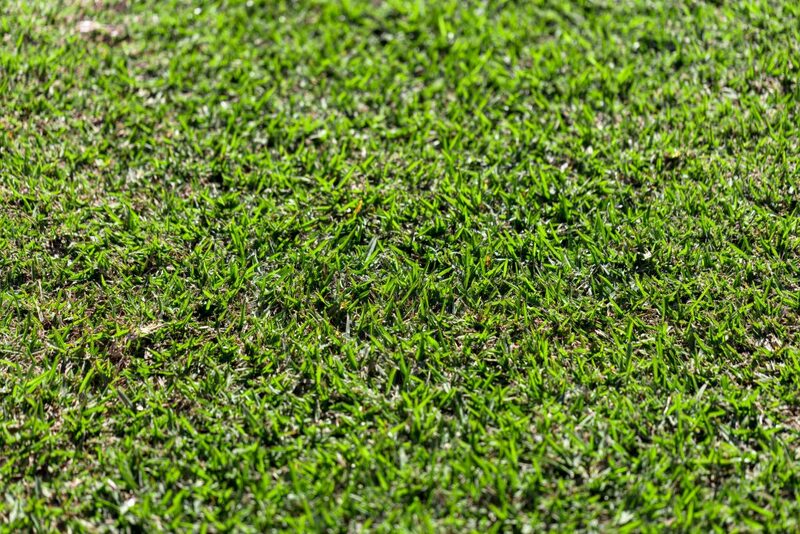 Kikuyu is hard to beat when it comes to finding a grass which has the ability both to withstand heavy wear and tear, and then to quickly repair itself from the worst possible damage. For this reason, Kikuyu is the number one choice for lawns which will be under the highest amount of traffic stress, this is most usually in yards where large, active and sometimes naughty dogs may reside. Kikuyu is a grass which is soft, has a medium width leaf, and grows quite fast if kept in healthy condition. However if the Kikuyu lawn is neglected (for example – not enough water) then so too will its growth rates be slow. A great variety with all the key characters of a Kikuyu® is Kenda Kikuyu. Couch is another tough grass which is very good for heavy traffic area. It is very fast growing so it can repair quickly from almost any damage, and also has good wear and tear resistance. Couch lawns have a fine leaf, and have masses of both underground and above ground runners which are best known for their ability to quickly regrow a damaged lawn. These runners also aid the lawn in drought tolerance and recovery. On the plus side, Couch grass can create a beautiful lawn when it is mowed regularly and is properly looked after with fertilising, regular mowing, de-thatching when required, and a good supply of water. Couch varieties to consider are OZTUFF® and Stadium®. Zoysia, often sold as Empire, Nara or Jari Blue turf, has a fine leaf, a soft texture and feel, tolerates being neglected very well, yet can be one the most beautiful lawns when it is maintained properly. Zoysia is also a highly drought tolerant lawn type. The strength of Zoysia when it comes to traffic areas is its ability to withstand wear and tear extremely well. This is due to the high levels of Silica which is present in Zoysia, and which is not present in other grass types. But when it does get damaged, its slower growth rate means it will be just a little slower to repair. Zoysia should be considered when medium level traffic is to be expected in the lawn area, it will not be suitable for the highest-level traffic. And as always – Zoysia is best suited to warmer regions, and will not tolerate the colder climates very well at all. Zoysia varieties to consider are Nara NativeTM and EmpireTM.